Well we bought an acer notebook with windows 7 starter so we could maintain contact and the blog. Unfortunatly the thing seems pretty shaky. Startin to wish i'd have gotten the apple. Ya get what ya pay for i reckon. Any way just checkin to see if it [this notebook] can do what i bought it for.??? 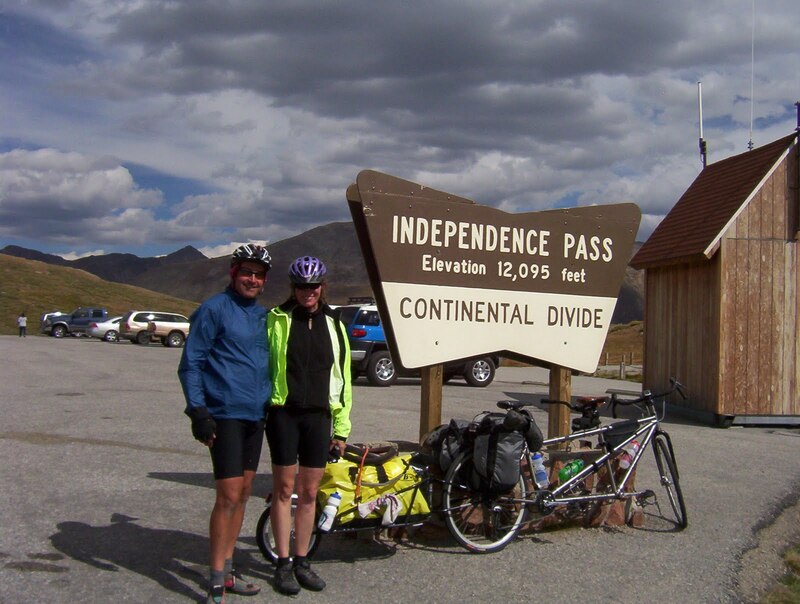 ok so the photo upload worked so here is a photo of terri and i riding around the leadville loop in leadville co. a very cool 12 mile ride.